Tom and Robbie Kitt welcome you to the Golden Slipper. 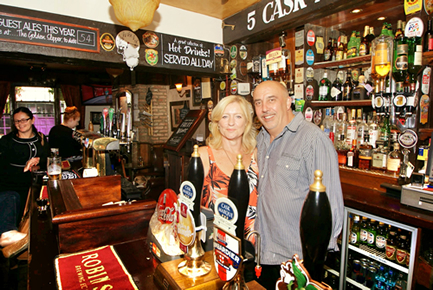 We took over the reigns in 2013, having held pub licenses for over 20 years between us. It's the aim of us & our friendly team to maintain the unique ambience of the Golden Slipper which is of an English country pub, but situated in the very heart of the beautiful City of York.